Clyde Vernon Cessna was born in Iowa in 1879 and grew up on a Kansas farm. He became captivated with flying after learning of Louis Blériot's 1909 flight across the English Channel. He purchased a monoplane for himself and spent the next several years travelling to exhibition air shows, meeting many of the daredevil pilots of the era, including Roland Garros, René Simon, Charles Hamilton, and René Barrier. Travelling east to New York, Cessna spent a month at the Queen Airplane Company factory, learning the fundamentals of flight and the art of plane building. He became so enthusiastic about flying that he spent his life savings of $7,500 to buy an exact copy of the Blériot XI monoplane, shipping it west to his home in Enid, Oklahoma. Cessna flew this aircraft, along with others he designed and built, in exhibition flights throughout the Midwest, continuously modifying the planes to improve their performance. In 1924, Clyde partnered with fellow aviation pioneers Lloyd C. Stearman and Walter H. Beech to form the Travel Air Manufacturing Co., Inc., a biplane-manufacturing firm, in Wichita, Kansas. Clyde infused the fledgling company with cash and equipment and became its president. But Clyde always preferred monoplanes, so in 1927, he left Travel Air to form his own company, the Cessna Aircraft Company. There he would build his vision of the ideal aircraft, a full-cantilever-winged monoplane dubbed the Phantom. Commercially successful, the Phantom, along with the Model AW and DC-6, sold well until the start of the Great Depression. Clyde and his son Eldon turned their attention to building racing aircraft in the early 1930s—their CR-1 racer made a notable showing in the 1932 National Air Races, and the CR-3 established an international speed record in 1933. But Clyde abruptly retired from aviation when his close friend Roy Liggett was killed in the crash of a Cessna-built racing plane. He never again participated actively in the industry. Clyde's nephew Dwane Wallace, an aeronautical engineer, along with brother Dwight and engineer Jerry Gerteis, designed a sleek monoplane, the Model C-34. Dwane then assumed the mantle of leadership, reviving the Cessna Aircraft Company in 1934 to manufacture and market the plane. The C-34 became the aircraft that enabled Cessna Aircraft Company to emerge intact from the Depression and established the firm as one of the leaders in American general aviation. A four-passenger high-winged monoplane, it could achieve a top speed of 162 miles per hour (261 kilometres per hour). Known as the Airmaster, the C-34 won the title of the “world's most efficient airplane” in 1936. The Airmaster evolved into the C-37 and C-38, improved versions with wider fuselages and landing gear, rubber engine mounts, wing-mounted flaps on the C-37 and a belly-mounted drag flap on the C-38. The last Airmasters, the C-145 and C-165 models, sported longer fuselages, split wing-flaps, and more powerful engines. The Airmaster line ended with the arrival of World War II after a total of about 180 had been built. Its design reappeared after the war with the larger, all-aluminium Cessna 190 and 195, produced from 1947 to 1954. Cessna introduced its first twin-engine design, the Model T-50, in 1939. Thousands were sold to the Canadian and U.S. armed forces for use as pilot training aircraft during World War II. 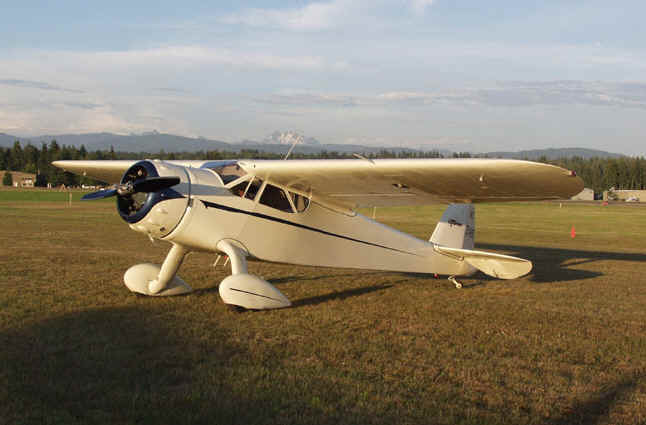 After the war's end in 1946, Cessna's facility began manufacturing two versions of tail-wheel monoplanes, the Model 120 and 140, selling more than 7,000 of these popular and inexpensive two-seaters before shifting to the production of four-seat aircraft. In 1948, advertisements began appearing in aviation publications for what would become the biggest selling and most widely produced light aircraft in history—the Cessna 170. This single-engine four-seat plane was actually a stretched and enlarged version of the Model 140. It had fabric-covered wings, V-shaped wings struts, and three fuel tanks for additional range. Late in 1948, Cessna replaced the fabric-covered wings with all-metal wings with larger flaps and changed the V-strut to a single strut configuration, creating the most recognizable variation of the aircraft—now dubbed the Cessna 170A. The future direction of Cessna now centred on the design of all-aluminium, high-winged, monocoque fuselage aircraft, featuring side-by-side seating, flat-spring steel landing gear and dependable engines. Known as a “good, honest taildragger,” a total of more than 5,000 Cessna 170s of all types were manufactured during the plane's six-year production run—half of those aircraft are still flying in 2001. In 1953, Cessna began manufacturing the Model 310, a twin-engine lightweight five-passenger aircraft. Popularized by the television series “Sky King,” the Model 310 is widely regarded as one of the most attractive aircraft ever built. Produced for almost 30 years, more than 5,500 Model 310s were manufactured, eventually becoming Cessna's most popular twin-engine model. Cessna unveiled a pair of twin-engine aircraft in the early 1960s that were designed to avoid the asymmetrical drag that often occurs if one of the two engines fails—the Model 336 Skymaster (with fixed landing gear) and the Model 337 Super Skymaster (with retractable landing gear). Capable of carrying six passengers, it also served with the U.S. armed forces during the Vietnam War. The aircraft's versatility and excellent cockpit visibility for the pilot made it ideally suited as a spotting aircraft that searched and marked targets for other aircraft to attack. Approximately 2,000 Skymasters were manufactured in its 20-year production run that ended in 1983, becoming Cessna's second best selling twin-engine model. A specialized aircraft designed for crop-dusting, the Model 188, was developed in the mid-1960s, selling under a variety of names. These aircraft featured lights for night operations, safety windshields, and wire-cutter blades designed for unexpected encounters with telephone wires. Equipped with powerful turbocharged engines and large hoppers, about 4,000 Model 188s were manufactured. The Model 172 Skyhawk, developed as Cessna's answer to Piper Aircraft's popular PA-22 Tri-Pacer, replaced the 170 in 1956. It featured tricycle landing gear and a new tail design. Affordably priced and easy to handle, the Model 172 could fly at almost 144 miles per hour (232 kilometres per hour) and would become (and remains) the best selling four-seat aircraft in the history of general aviation. A tricycle-geared version of the Model 140 soon became aviation's most common two-seat training aircraft—the Model 150. The second most popular general aviation aircraft ever built, its production started slowly at first. Only 122 were built during 1959, its first year of production, but eventually, a grand total of 23,840 were manufactured before production ended in 1977. In 1966, a version of the 150 designated the Model F150 started production in Reims, France—a total of 1,758 model F150s were built. An aerobatic version of the 150 saw limited production, starting in 1970. This plane used a four-cylinder 100-horsepower (75-kilowatt) Continental O-200 engine and Cessna made a number of changes to the plane's airframe and configuration during its 18-year production run. 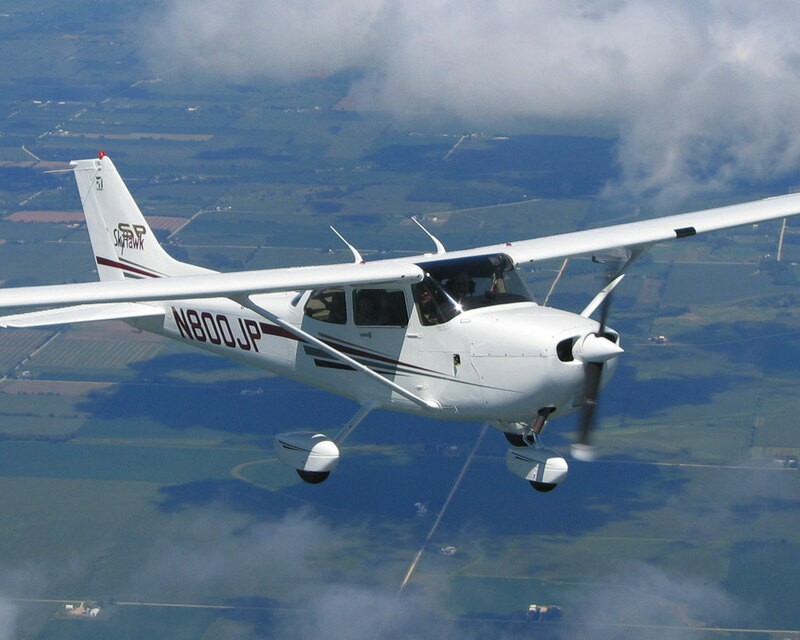 In 1978, Cessna introduced the more powerful Model 152, which was also better adapted to newer aviation fuel blends. By the time production ended in 1985, a total of 7,500 Model 152s were manufactured. In the 1960s, Cessna began producing lighter twin-engine aircraft with a pair of pressurized cabin models, the 411 and 421, followed by a move into the business jet aircraft market with the turbofan-powered Fanjet 500 in 1968. In December 1993, the Cessna Citation X business jet made its first flight, establishing itself as one of the fastest mass-produced aircraft in the world, capable of carrying 12 passengers and two pilots while flying at Mach 0.92 (about 600 miles per hour [447 kilometres per hour]). 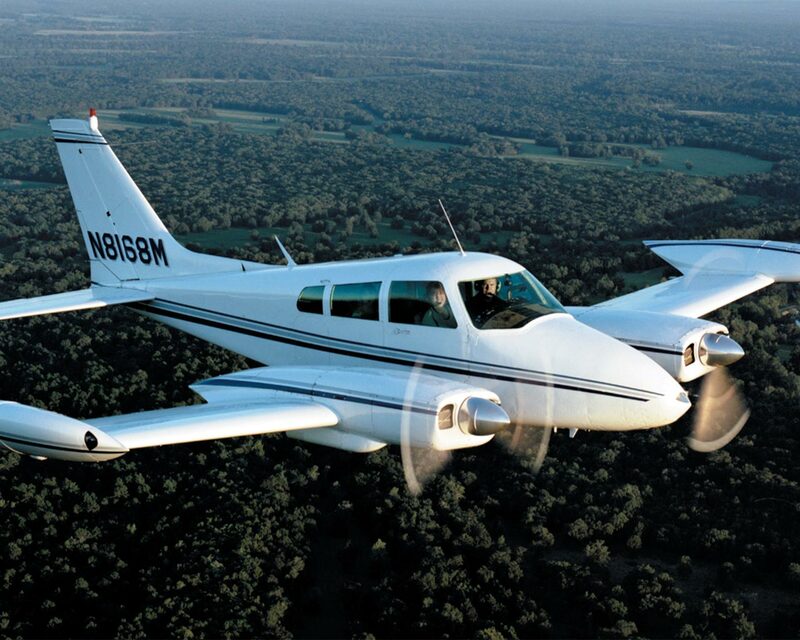 After becoming a subsidiary of General Dynamics Corporation in 1985, Cessna stopped producing piston-engine airplanes with the 1986 model year due to concerns over product liability. In 1992, Textron, Inc. acquired Cessna Aircraft and soon resumed producing light aircraft; however, rising production costs and concerns over product liability did not justify the reintroduction of the popular and affordable two-seat models. Clyde Cessna, with only a fifth-grade education and lacking a private pilot's license, helped create the general aviation industry. Although it was his two nephews, Dwane and Dwight Wallace, who transformed Cessna Aircraft into the aviation powerhouse that produced more than 100,000 piston-powered airplanes and another 2,000 Citation jets, it is Cessna's name that has become synonymous with small planes—a legacy to Clyde Cessna's vision.